Poster design for the University of Brighton open day. This was a student project for my final year at the university and a competition between the students to produce the winning poster. The flower design is made up of the 4 main printing colours Cyan, Magenta, Yellow and Black (CMYK) and the overlapping colours are a reminder of the printing process and a nod to the university’s roots. 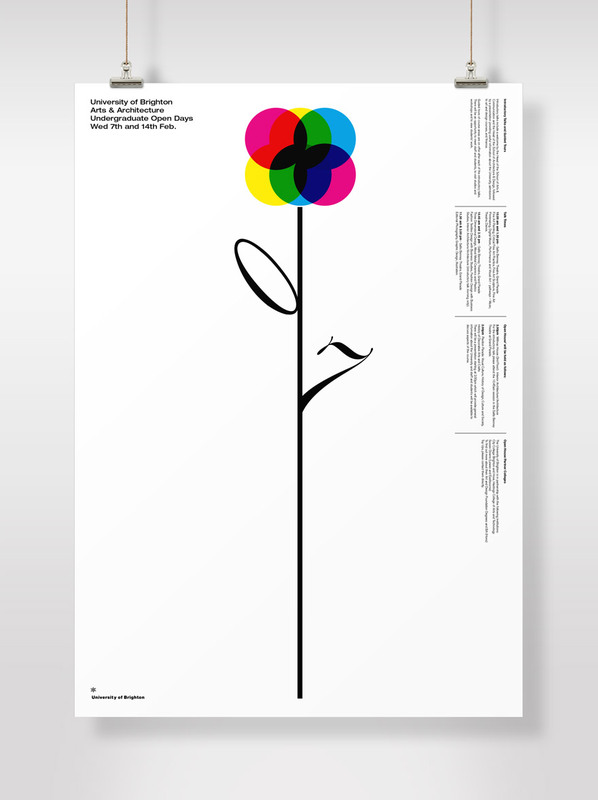 This is still one of my favourite pieces of design, oozing simplicity and minimalism.